The first step on the path of learning to cope with any of the types and subtypes of breast cancer needs to begin when you are told that you have something suspicious for breast cancer. You are told you need further testing to determine whether or not what you have is benign or malignant. You need to be able to make the necessary appointments for tests, while controlling your mounting anxiety. Schedule tests as soon as possible; the less the wait, the less your anxiety level. Avoid surfing the web trying to find similar symptoms as yours. Every situation is different and you will only increase your anxiety. Your second step on the road of learning to cope comes when the results of your biopsy confirm that you have breast cancer. The pathology report giving the results of your biopsy will identify the characteristics of your cancer, including its type and subtype. If your breast cancer is triple negative, which can be a subtype of different types of breast cancer, you need to understand what triple negative means, and how triple negative will impact your treatment. The name triple negative breast cancer identifies this cancer as estrogen negative, progesterone negative, and HER2 negative. Triple negative breast cancer doesn’t have estrogen receptors, progesterone receptors, or HER2 receptors, which are the proteins that fuel the growth of breast cancer. When a breast cancer is estrogen receptor-positive, progesterone receptor-positive, or HER2 positive there are targeted treatments,which are taken after active treatment is completed to reduce the incidence of a recurrence. Drugs such as tamoxifen, which targets the estrogen receptor, and trastuzumab (Herceptin), which targets HER2, are not effective in treating triple-negative breast cancer. While research is ongoing to find targeted therapies for triple negative breast cancer, none are currently available to offer additional protection against recurrence following surgery, chemotherapy and radiation. Ask your family physician and gynecologist for referrals, and also seek referrals from a cancer center, in your area for a breast surgeon, and an oncologist with extensive experience in treating women with triple negative breast cancer. You need to know all of your treatment options before beginning treatment. If you are under 60 years old, agree to have genetic testing to determine if you are a BRCA mutation carrier, since some treatments may be more effective for you, if you are a carrier. 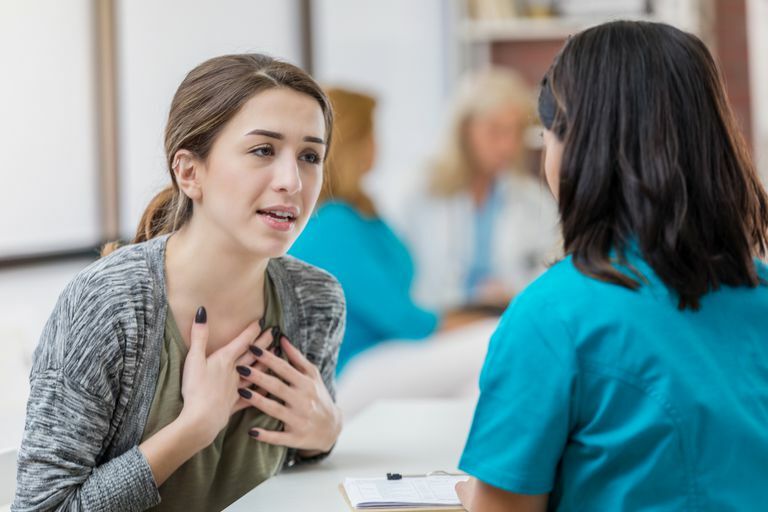 Bring someone with you who is good at taking comprehensive notes while you ask questions of the physician as he or she explains what triple negative is, your treatment options, and why these are your options. Having notes to go over after the meeting will help you digest what you have just discussed with the oncologist and identify next steps as you prepare to begin treatment. Don’t hesitate to ask as many questions as it takes for you to understand your treatment plan. Get a second opinion from another physician who has extensive experience in treating patients with triple negative breast cancer. Triple negative is treated as most other breast cancers in the active stage of treatment, with surgery to remove the cancer; radiation and chemotherapy. Chemotherapy works very well as a treatment for triple negative breast cancer. In some instances, chemotherapy may be used before surgery to reduce the size of the tumor as well as after surgery. Reducing the size of a tumor may enable a woman to have a lumpectomy rather than a mastectomy. If a woman has a lumpectomy, she will also have severs weeks of radiation therapy following her surgery. Rather than place all care giving responsibilities on one or two individuals, reach out to family and friends, explain your situation, and ask for assistance based on your treatment schedule and daily living responsibilities. Most people prefer to be told how they can help, rather than trying to figure it out on their own. Cook and freeze meals ahead of starting treatment, making sure they are not spicy or strongly seasoned, which may be difficult for you to tolerate when you are experiencing chemotherapy side effects. Speak with your employer, or company representative, and ask if you can work part time, or from your home while in treatment if you feel well enough. You will need and benefit from emotional support dealing with the feelings that often accompany treatment. Choose two “go to” people who are good listeners, and not judgmental as the ones to confide in and share your feelings about what you are experiencing. Avoid sharing details with acquaintances and those who want to talk about other women’s cancer stories with you.. When surgery, radiation and chemotherapy are over, so is your treatment. Since there is no targeted therapy that can be taken for several years to reduce the incidence of a recurrence, many triple negative survivors live with the fear of recurrence. Adjustment to life post treatment will take time; get counseling if your anxiety is interfering with your functioning and your ability to enjoy life. Support groups for women treated for triple negative breast cancer can play a key role in healing. Being in an online group or a face to face group with others that share common experiences helps each participant to realize that she has taken all the medical treatment she can to beat her cancer. Since triple negative occurs in about 15 percent of breast cancers, finding others, who share similar experiences, in community-based support groups may be difficult. All the more reason to reach out and get involved in support groups just for those with triple negative, sponsored by organizations such as the Triple Negative Breast Cancer Foundation. These groups can ease the feelings of isolation as you meet, identify with and share coping skills that can help you move beyond your cancer experience as a survivor. BREASTCANCERORG Triple Negative Breast Cancer. National Breast Cancer Foundation. What Is Triple Negative Breast Cancer?